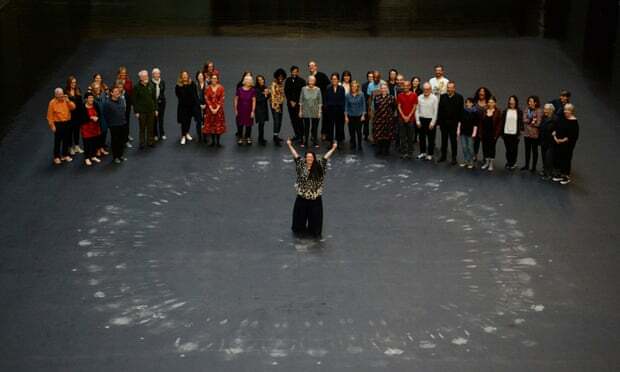 Cuban artist, activist, and SAIC alum Tania Bruguera (MFA 2001, HON 2016) has renamed the north building in Tate Modern’s Turbine Hall for local activist Natalie Bell as part of this year’s Hyundai Commission. The renaming is part of a series of “stealth” art activations and interventions meant to explore the “positive aspects of migration and the power of community action” according to the Art Newspaper. Bruguera worked with Director of Tate Modern Frances Morris on the commission to construct various installations that address current political issues. Part of the installation includes a heat sensitive floor that when exposed to enough body heat, reveals a hidden image of a Syrian refugee who has been supported by SE1 United, the charity overseen by Natalie Bell. There is also a crying room where visitors are exposed to a menthol-smelling compound that induces tears. The effect is meant to encourage real empathy and tears from visitors instead of virtual empathy often expressed through text and emojis. Another part of the commission includes changing Tate Modern’s public Wi-Fi so visitors will see a manifesto written by 21 people who worked with Bruguera known as Tate’s Neighbors. Bruguera is a celebrated and world-renowned artist known for addressing politics through art and according to the Guardian presents this work as an opportunity for people to think about the contemporary migration crisis. Bruguera explains why she renamed the Tate Modern in another recent piece for Art Newspaper, stating "It’s not my problem or your problem; it’s our problem. We need a culture where 'us' and 'them' are substituted by 'we.'" Hyundai Commission will remain active until February 25, 2019.